To run the forums, host the website, and travel, I charge a universal service fee for my reviews. This review was sponsored by California Bicycle Factory. 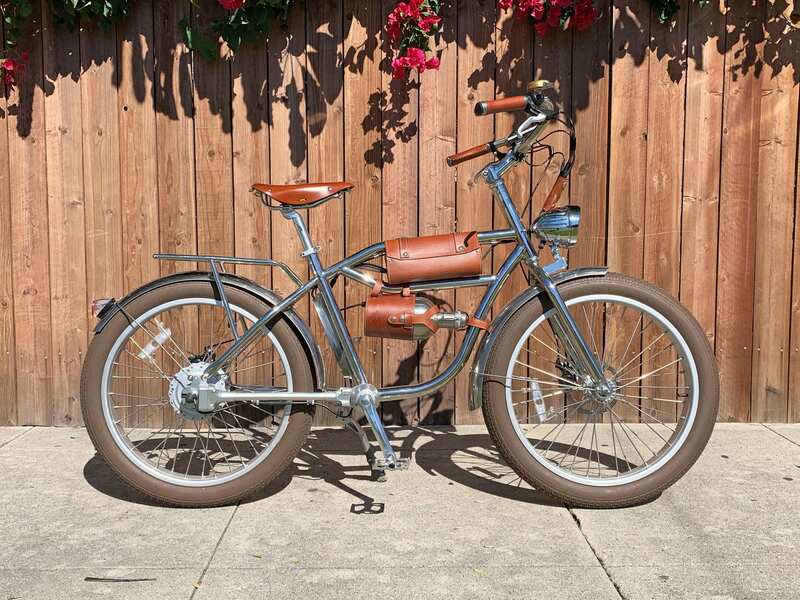 My goal is to be transparent and unbiased, this video and written review are not meant to be an endorsement of California Bicycle Factory products. California Bicycle Factory is a new company to me, but they have actually been around since 2010 and this year they are offering their take on a wide tire cruiser with curb appeal and a shaft drive; the Retro R. The Retro R is very similar to the Retro S I reviewed earlier, so you will notice some parallel information. 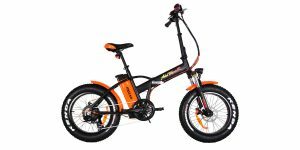 For example, like the Retro S, this bike hides the electric aesthetics well so that your eyes are drawn to its unique look. On top of that, it has this cool chrome finish with what I am told is a polished stainless steel, although I thought it was more of an aluminum alloy. 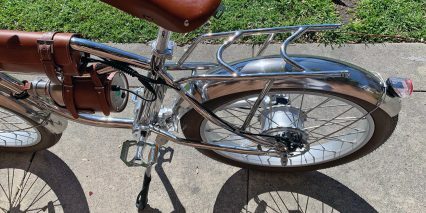 It also has these 10mm beautiful polished and wide stainless steel fenders. It definitely looks like they went for more form over function, but that’s not necessarily a bad thing, there is a lot of clever engineering to get things the way they are, and in this case, some of the simplicity means less maintenance or fuss. If you are looking for a battery or motor controller, you may miss them. 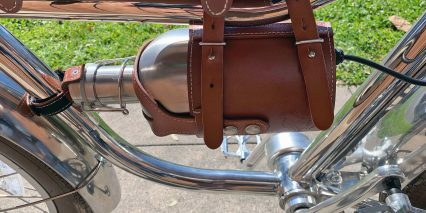 The Retro R is equipped with two vintage looking leather saddle bags (I should not the leather is a darker brown than the Retro S) and inside each of these branded bags is the controller and the battery itself. 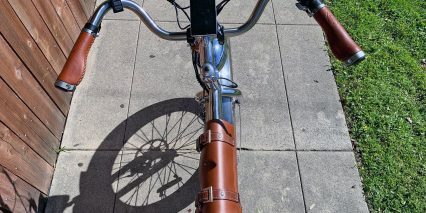 The aesthetic of these bags is clean, and they match the stitched leather locking grips and even the leather wire wrap in the front. 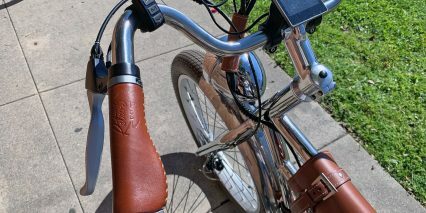 There are a few exposed wires, and this one seems to have more than the Retro S. Another nice leather accent is the saddle that is hard and uncomfortable at first but will wear over time conforming to your body becoming soft and comfortable, like a Brooks saddle. 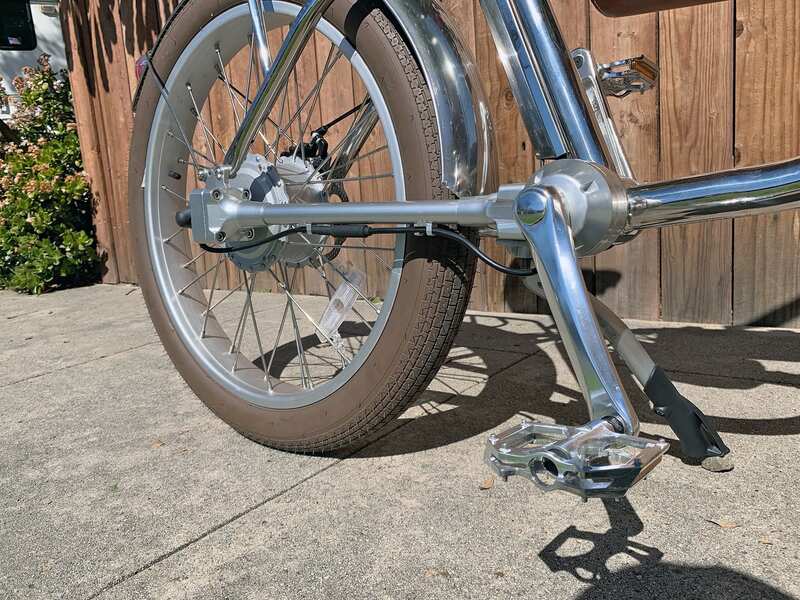 One last note on the aesthetics is the matching Wellgo aluminum alloy pedals, which looks great here, but they are a little narrower, so do be mindful of that. 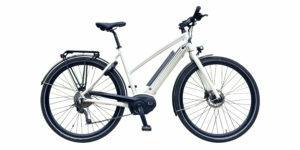 The frame offers a relaxed riding position, thanks to the swept back bars and the lower attack angle which overcomes the bumps comfortably. For tires they have these 24” x 3” which is not quite a fat tire, but still very large. They are sort of this chocolate color to match the leather and they are rated for 40-65psi which is interesting, because usually with wider tires you think of dropping that psi, but this has it rated rather high, so really rather more of a road oriented fat-tire. Wheels here are these super sturdy and thick 10 gage spokes, pretty cool cause usually I only see up to 12 gage. I am seeing a torque arm washer, but no external torque arm, which I guess is okay since the electrical system on this bike is a bit on the average side. Some other features here are the headlight and rear light. The front headlight is battery integrated with this really cool yellow glass lens, but I think it is more to be seen rather than to see with. 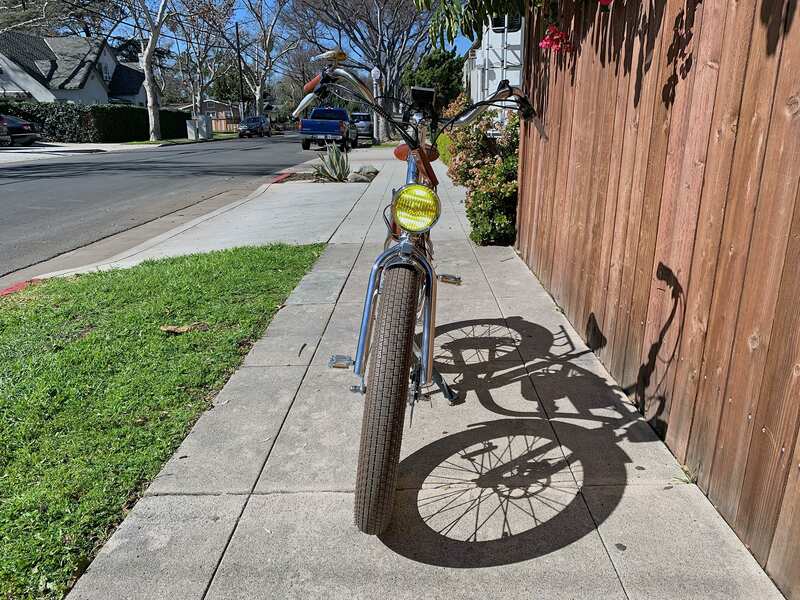 The rear light is actually a solar powered single LED which is positioned quite nicely out of the way. 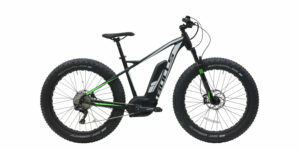 The Retro R does only come in one size and frame, this high-step frame which is on the larger size, and it is a little heavier than the Retro S at 67.9lbs but offers a lower stand over height. 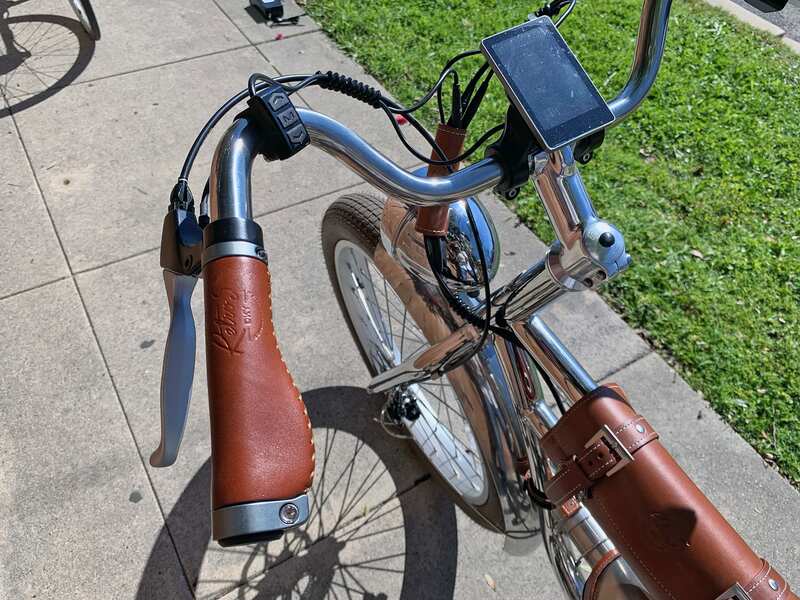 Looking around the bike, I notice the 28.6mm seat post that you could swap out with a shim to get a suspension seat post, and there are tabs on the back of the saddle if you really wanted to add another bag or something. Other features include bottle cage bosses, motor inhibitors on the brakes, adjustable length kickstand (although it is positioned near the 165mm crank arm, so you can get pedal lock when reversing), and I love this big retro inspired integrated bell! 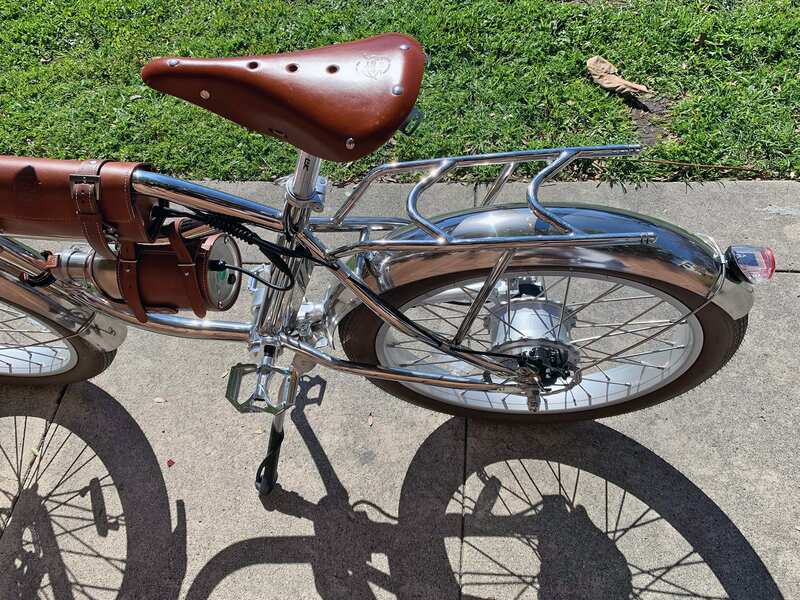 The Retro R also gets a rear rack that is stylish with these cool chevron patterns, but may hinder some cargo options since it is not standard tubing and doesn’t have a Yepp window, but it is rated for 55lbs which is nice. 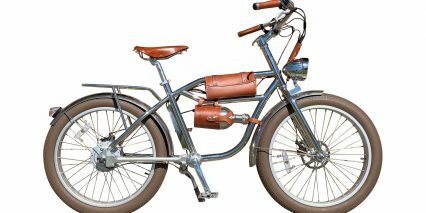 As I said earlier, it is a shaft drive which means no chain and it only has one single speed for simplicity, which we will get into shortly, but for $2,699, ($200 more than the Retro S) you get a fatter tire and a stronger motor. 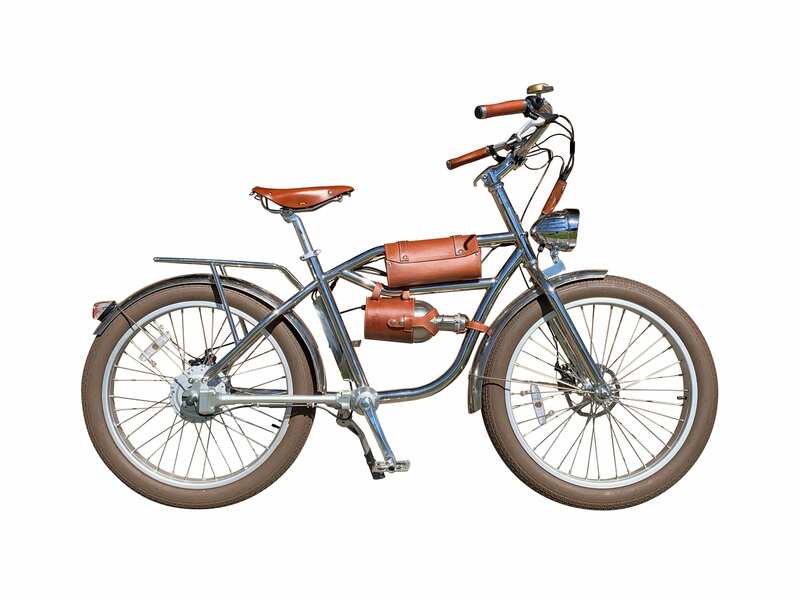 Driving the Retro R is a 500 watt nominally rated planetary geared Bafang hub-drive motor. This motor is a step up from the 250 watt in the Retro S and offers 90nm of torque while being fat tire specific.. 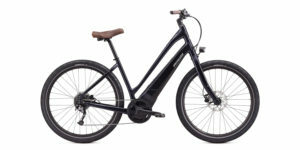 In use, the motor is quiet and is smooth in the lower levels of assist making it very fun to ride…. It feels like the motor never cuts out and keeps going and going. Keeping with the clean theme, I actually looked for a cadence sensing unit, and I know it is there somewhere, but I couldn’t find it. 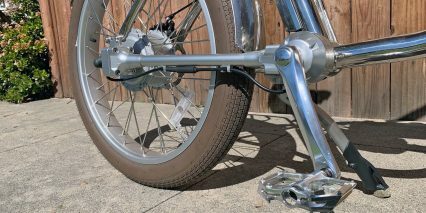 The motor cable is bent a bit coming out of the hub to get around the shaft drive, but it is out of the way and secured by that shaft in the event of a crash. I did notice a bit of delay on the cadence sensor with stopping and starting. Since this bike also has a throttle and some settings allowing you to push the limits, I decided to crank up the settings and see what happens. After adjusting the settings, I got 25mph on both throttle and pedal assist! But, by default, it is a Class 2 as it is normally set for 20mph and has a throttle. Braking was a bit harder however, and you could tell this bike may not be made for such riding continually. 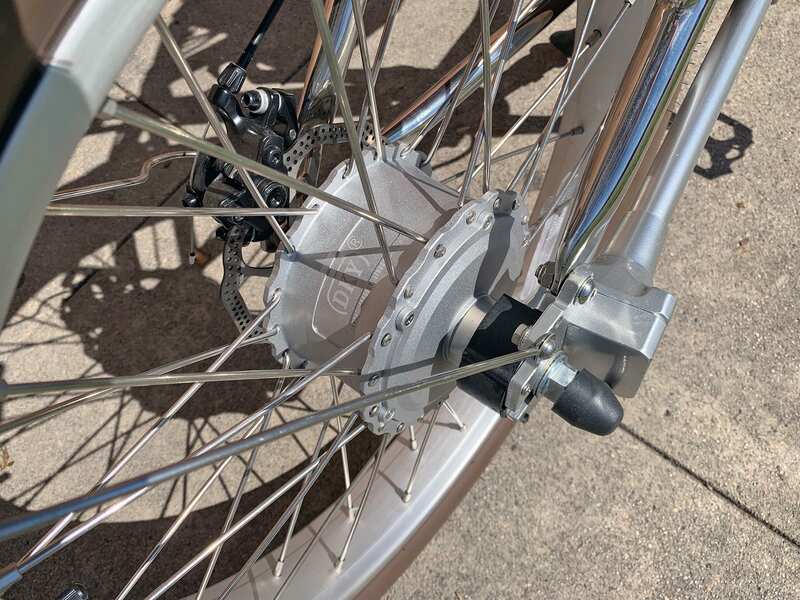 Stopping the Retro R is a set of 160mm mechanical disc brakes. 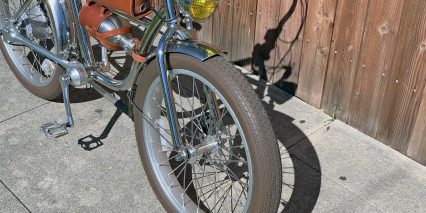 At that high speed, the braking was harder since there was no mechanical advantage due to the smaller size of the brake disc and the larger size of the wheel. 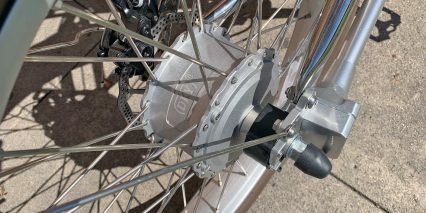 Plus, mechanical disc brakes require a bit more of a hand pull and can have a slight bit of lag sending the braking down the rear cable. The single speed shaft drive is unique and interesting to me. The nice thing is there is you don’t have to worry about chain guides or if you are wearing pants… you also don’t have to deal with chain noise which is nice. But of course, you are limited to just that one gear, however I suppose having the modes of pedal assist can kind of make up for that, offering you different levels of assist is similar to what the traditional gears were added for back in the day. 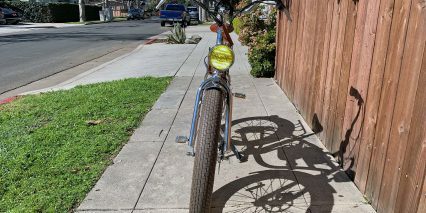 I am told a bonus to shaft drive is that it requires less maintenance and even avid riders don’t need to have it serviced until years down the road. 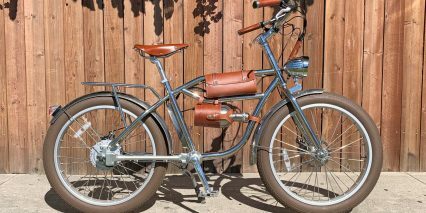 Powering the bike is a 48v 8ah battery with a total of 384 watt hours. Not the largest amp hour battery out there, but in keeping with simplicity I guess it fits okay. 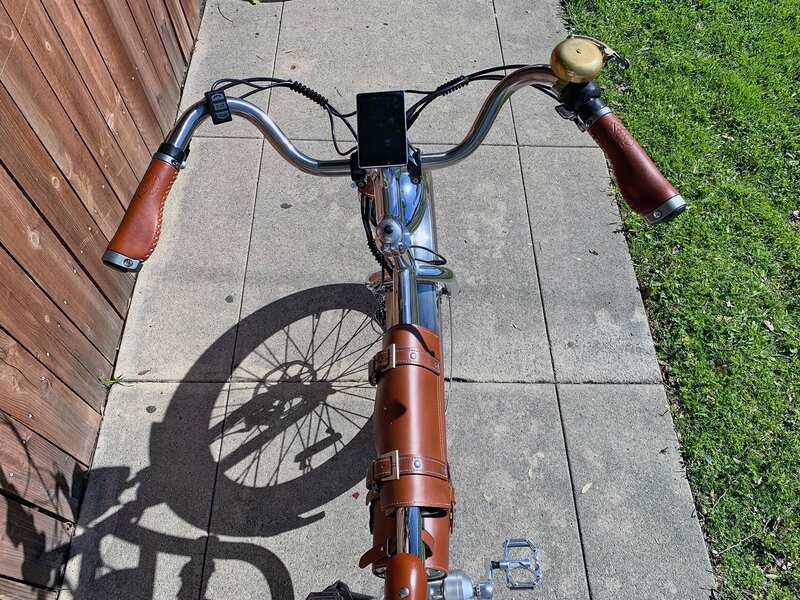 The battery is 6lbs and is enclosed in the saddle bag hanging from the middle tube. I noticed that the bottle shape allows for some small storage in the bottle neck, maybe you could fit some cash or an extra key or something. I do worry about the hanging loops however. There are 3 of them here and I do worry about not only their vulnerability hanging that heavy battery, but also the actuation. I noticed during my test ride it would swing side to side, so something to make note of. They have an insert in the front of the bag to charge the pack and it looks like it may just be best to charge it on the bike. I do worry about these bags being out in the open to thieves and the elements. While they are removable, they would have to be disconnected and reconnected from the wiring each time, making for a complex routine if you are a daily commuter. 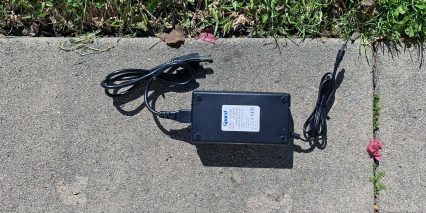 Also included here is the 1.3lb charger which runs at 2amps. 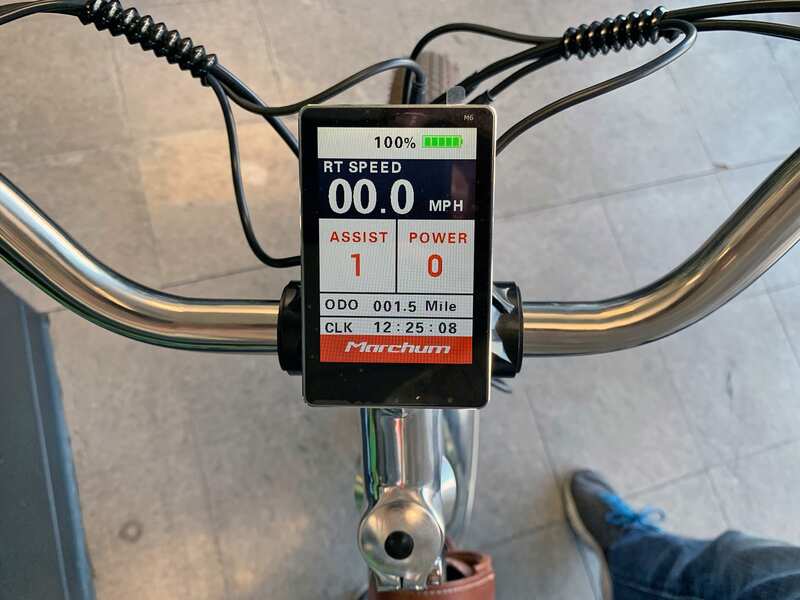 I did notice that there was no LEDs on the battery to read charge level, so you will have to turn on the bike to look at the display to know where the charge level is at. To really care for this and other lithium-ion packs, I have heard that storing in a cool dry location vs. extreme heat or cold will extend the life and try to keep it about 50% full when not using for long periods so you won’t stress the cells. Try not to let it run down to zero, because that’s really hard on the cell chemistry. 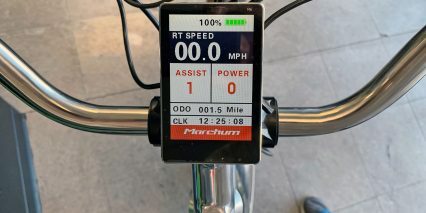 To turn on the bike and display, hold the M button on the controls on the left, there you will also find an up and down arrow. This a display is from a company called Marcham and while it is not the brightest display, it does have a lot of settings to browse through. RT labeled big in the middle is actually your speedometer. 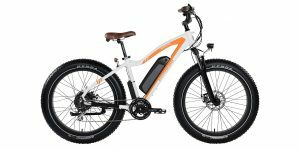 The bike starts in assist level 1 and has pedal assist modes ranging from 0 (off) to 5. The throttle is always a live throttle, even at 0, so do be mindful of that. 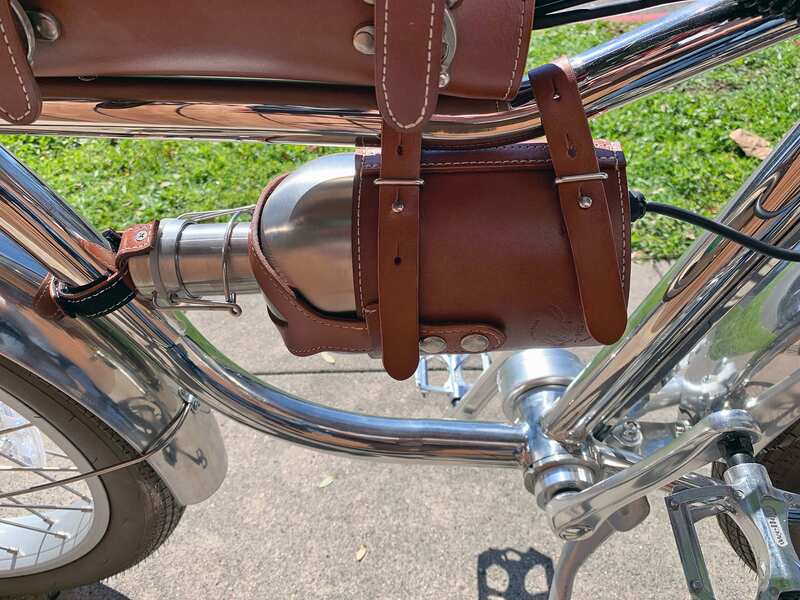 It is great to have a trigger shifter as it doesn’t get bumped as easily as a live twist throttle does when you grab the handlebar. I love that on the display there is a battery percentage for accuracy as well as an infographic in 5 ticks. Also, on the display, it shows current power output in watts, an odometer, and a clock. If you hold the up button, it will invert the colors, which is great for night time riding. Going back to those settings I mentioned, if you hold up and down together, it will grant you access to a couple of deeper menus that let you change a lot of settings. Just a handful of the settings I am seeing here is brightness, auto off, battery, clock, temperature, wheel size, start password (you can actually lock the electric system with a password), speed limits, power limit, etc. This is really a massive set of controls and it was here that I configured the bike to hit that 25mph top speed. As neat as this display is I have to iterate that it is not the brightest, also it does not have any USB charging, so sort of a missed opportunity there. In closing, the Retro R really is somewhat of a work of art and makes quite a statement as well as compliments the rider. I reviewed the Retro S which is making a similar statement, but I think if I had to choose, I would go with the R. I personally like the style and the wider tires and more powerful motor tempt me more. 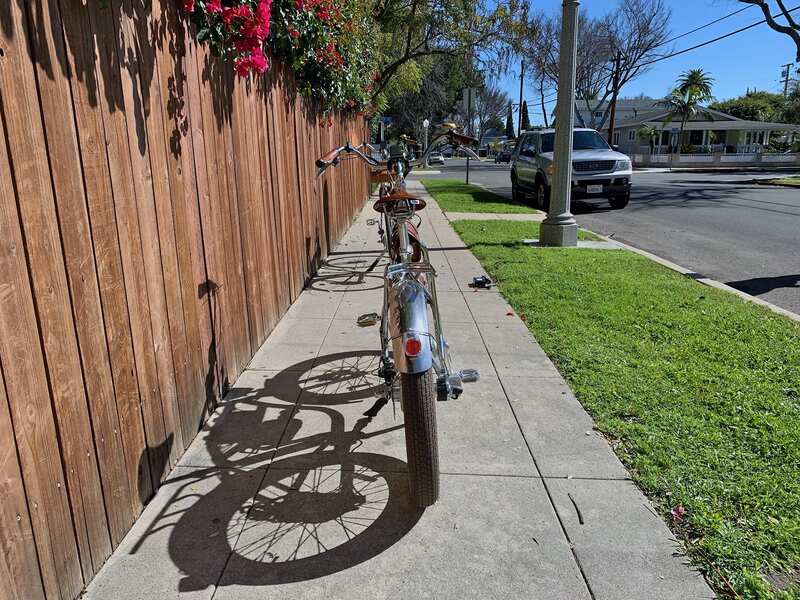 A bike that prioritizes form over function however will have some tradeoffs, so I would consider weighing them to see if the bike is a good fit for you. 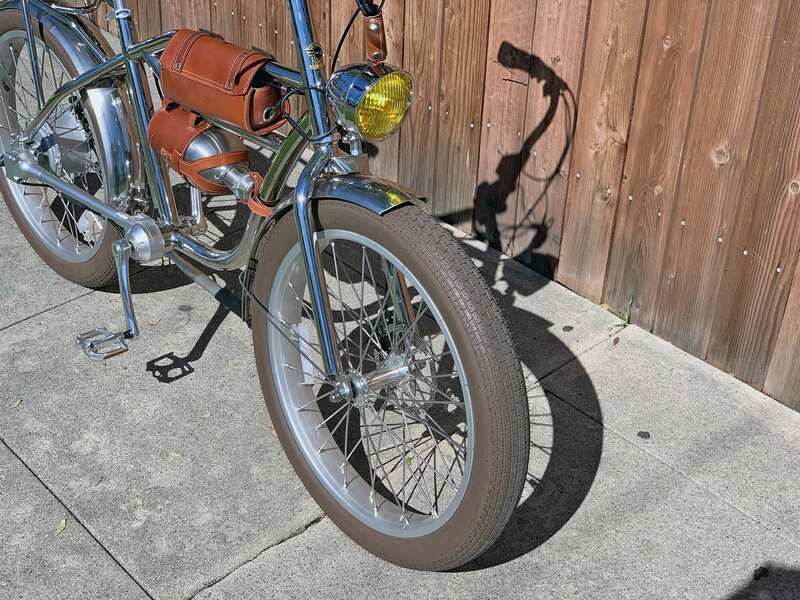 For example, although the bike is shiny, it could wear over time. 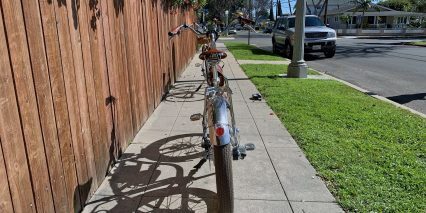 The mechanicals may be low maintenance, but if you really want the bike to keep its shine, it may transition into high maintenance trying to keep it from looking worn. Similarly, the leather could dry or crack over time if not taken care of and that could make it weak, so keep an eye on that. 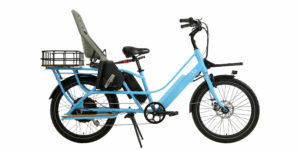 I do worry about some little things such as the rigid front fork that can’t really be swapped out, the little bit of rattling in the fenders, drive system is somewhat basic, no walk mode, and the fact that if you were putting it on a hanging rack, you would have to unplug the battery and cables. But the big tradeoff here is keeping those great leather pouches holding the battery and controller safe. 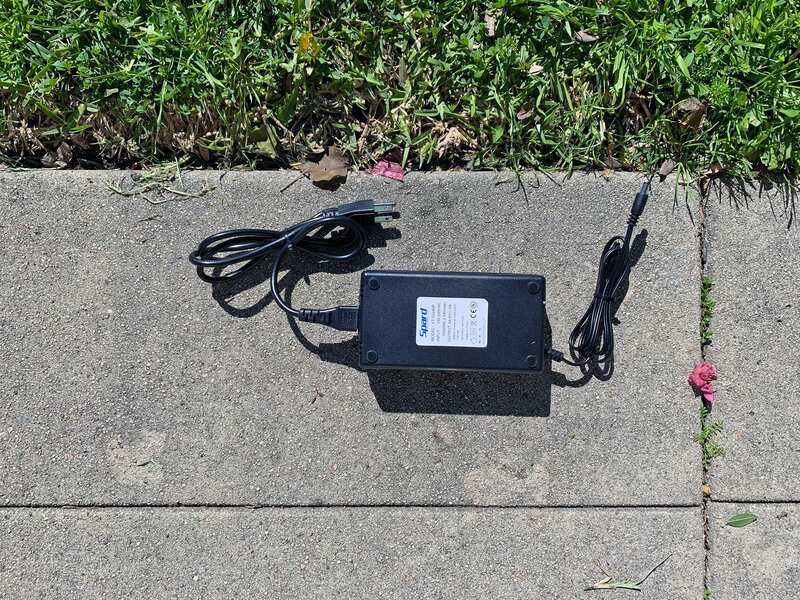 A lot of people commute on their bike, so when they park it they remove the battery not only for charging indoors, but to keep the expensive electronics away from thieves or the weather elements. This is possible with the Retro R, don’t get me wrong…. But the process entails unplugging and plugging back in wires over and over again going to the electrical system. Just trying it once for myself after being used to other systems was enough to make me feel like this could either become annoying, or possibly mess with the wires so much that it could cause wear on the ends. 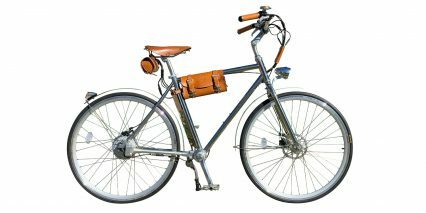 On the other hand, the bike is undeniably stylish and fun. 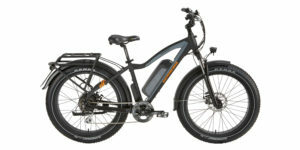 The ride feels very balanced, comfortable, and it is using a very reliable system. 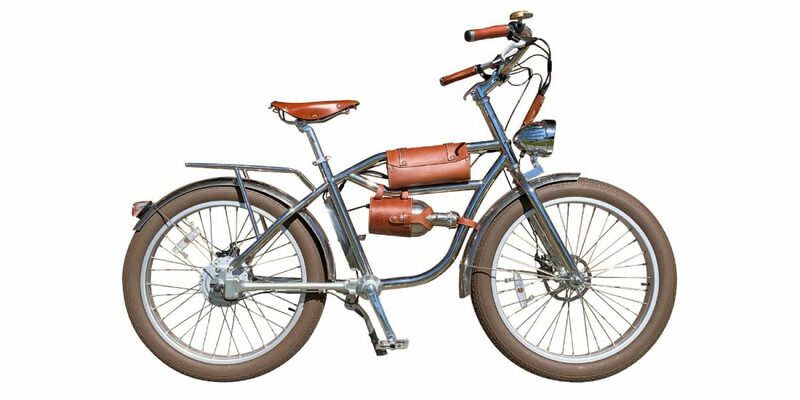 I am told the shaft drive only needs servicing once every 5 years which is great for keeping ownership cost down. 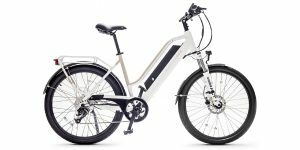 And speaking of cost, $2,699 can be very attractive to someone who wants a cool, stylish, and reliable ebike that not only doesn’t look like one but looks entirely unique. I want to thank California Bike Factory for letting me check out the Retro R.